Amidst the gloom & doom about Lambeth's mad actions (spending £1.25 million digging out the basement for a gym, awarding the library to a group that has no community basis, etc) we've received the good news that the Carnegie UK Trust project (run in 2016-17 by the Friends together with Lambeth library services) to provide IT courses in Lambeth libraries will be continued for another year with Widening Participation funding. This will provide funds for 4 courses for local disadvantaged young people. At least one, we hope, will be in the Carnegie. From 4 June 2015, the library will be open on Thursday afternoons from 1.00 – 6.00pm in addition to its normal opening hours. This will allow for greater use, and in particular, give students revising for exams an additional facility for homework, research, computer use and free Wi-Fi. This is welcome news because for years, Friends of Carnegie Library have been calling for longer opening times following the reduction from 34 to 16 hours a week from 1997 and the partial restoration to 31 from 2003. With all the events and activities now on offer, and the friendly, welcoming library staff, statistics for membership, visits and loans have been growing by leaps and bounds. Add the recent refurbishment and attractive new furniture, plus a growing demand for yet more activities and it was clear an increase in opening hours was needed. This extension of our public library hours to 36 a week comes at no extra cost to Lambeth, as it is covered by normal staff salaries. The extra five hours should boost the service and encourage even more visits. Despite this good news, the entire service at the Carnegie is under threat. The results of the Culture 2020 consultation responses and Lambeth’s reaction are expected to be published within the next two months. If the council decided to press ahead with its proposals to close two libraries and withdraw all funding from three others, including Carnegie, we would lose our professional library staff. It would then be impossible to provide anything like the current level of service, either in terms of opening hours, number and range of books, other material, events and activities; and the library as we know it would close. To help prevent this, please lobby your councillors and if not already a member, join the Friends and the library. 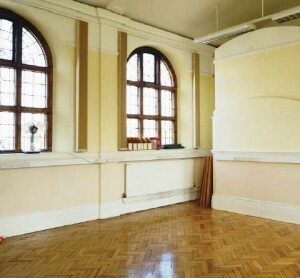 Space is now available to hire at the Library. Make an appointment (available Mondays from 1pm-6pm, and Wednesdays and Fridays from 10am-6pm) by booking at the Enquiry Desk, phoning 020 7926 6050, or emailing carnegielibrary@lambeth.gov.uk. Children (under 18s) are not eligible to use our services and should not submit any personal information to Friendsofcarnegielibrary.org.uk. Friendsofcarnegielibrary.org.uk does not actively track you as an individual. Should you send us an email, your name, email address and message will be emailed to us. This information is kept private. We will store this information within our own email system so that we are able to respond to you. If you don’t know what cookies are or if you would like to find out more, please read the BBC guide What are cookies?. None of the information we gather via cookies identifies you as an individual. It is all entirely anonymous. Cloudflare Persistent 6 years This cookie is used to override any security restrictions based on the IP address the visitor is coming from. For example, if the visitor is in a coffee shop where there are a known bunch of infected machines, but the visitor's machine is known to be trusted, then the cookie can override the security setting. It does not correspond to any user id in the web application, nor does the cookie store any personally identifiable information. Comments Persistent 1 year If you leave a comment on the website e.g. on a page, article or blog post, then a cookie may be stored to 'remember' your email address for the next time you post (should you choose the "remember me" option). To find out how to delete cookies, please read the How to delete cookies guide. friendsofcarnegielibrary.org.uk is a website owned by the Friends of Carnegie Library, a UK-based non-profit organisation. The Friends of Carnegie Library uses best endeavour to safeguard the confidentiality of your personally identifiable information but we do not use encryption (such as SSL) or firewalls to further protect the information as it travels across the Internet. We do not believe that the personal information we collect warrants this level of security. It is important to be aware that there is no such thing as “perfect internet security”. Please use the contact page on this site to contact us. The Norwood and Brixton Foodbank is designed to help individuals and families in crisis through the provision of emergency food supplies. Local care professionals in the Lambeth and Croydon area refer people, with a food voucher to attend either the Norwood or Brixton Distribution point. There they are given food supplies, refreshments and where appropriate help in finding other professional help to get out of crisis. The Norwood and Brixton Foodbank welcomes donations from the general public and businesses who can contribute food to support local well–being in a simple and practical way.